It’s already tax time again, what a pain! I don’t know of anyone who enjoys filing their taxes, but one thing is for sure, it makes the process much more enjoyable when you are getting money back. The real question is, what should you do with your tax refund? 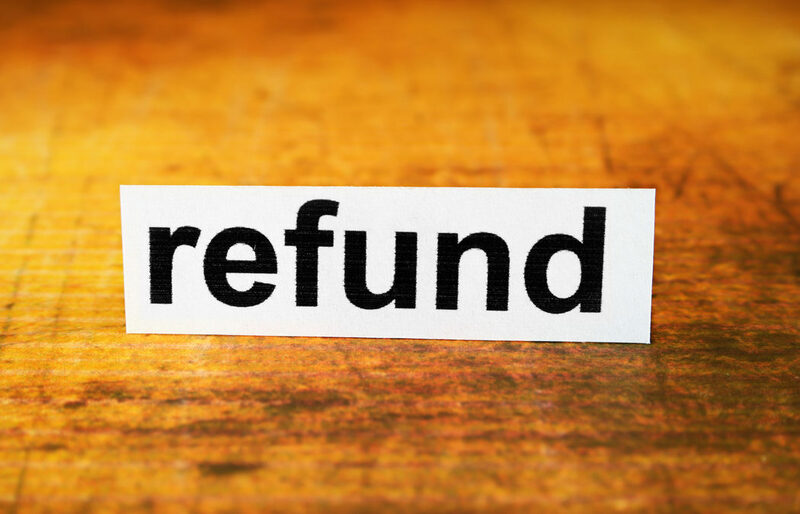 If you are unsure of where your return is, this link is provided by the IRS and will help you track your refund. I had this exact conversation with a good friend of mine just the other day. He said something that I believe is very common among individuals. I’m sure we have all felt that way before. The money seems to be called for before we even get it back – and it’s usually for something mundane. There always seems to be something like bills, home repairs, car issues, or something else that pulls at your finances. So, when this tax refund comes along, it brings a little relief because of those other financial needs. But, if we are being honest, who doesn’t want to spend their return on something more enjoyable – like a fun vacation? We can’t take all of the fun out of life, right? The purpose of this post is to review a couple options for how you should invest at least a portion of your return. How Should I Spend My Tax Refund? As I thought about this conversation with my friend, I decided to send him a text with this screen shot of an investment scenario. Here is what I sent, along with his response. My purpose in sending this was to show him the power of investing even a small portion of his tax return. This friend is actually very good with his money – very low debt, maxes out the employer portion of his 401(K), money in savings, etc. What a lot of people may not realize is that with the power of compounding interest, investing even a small portion of your tax return over 30 years can have a significant impact. 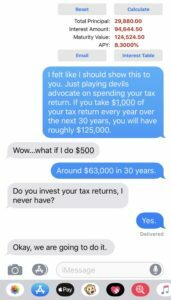 I was pleasantly surprised when he text me back – soon after sending that text to him – and said that he and his wife had decided to invest part of their tax return. Talk about making your personal finance blogger friend proud! The selling point for them was that contributing roughly $1,000 per year – or $29,880 over the next 30 years – would give them an additional $124,524 at retirement. This is in addition to the 401(k) they are already contributing to. A small sum of money each year, with compounding interest, can have a significant impact. Where Should I Invest My Tax Return? There are quite a few areas that this money can be used effectively if you want to invest your return. Whatever option you look at, this should be viewed as an investment in your future. Let’s look at a few options. There are two primary investment accounts you can use to invest your tax return. Both allow you to contribute $6,000 per year (you can do an additional $1,000 if you are over 50). This account is a post-tax IRA account. This mean you do not get a tax break for putting money into this account. You are paying your tax rate up-front to contribute this money. It’s main selling feature is that whatever your balance grows to at retirement, the full value of your account is tax-free. You will not pay even a dime of taxes on this money unless you take it out prior to 59 ½. There are income limits that can prohibit you from contributing to this account if you make a lot of money. Here is a detailed explanation by the IRS that will help you determine if you can contribute depending on your income and tax filing status. Any monies you directly contribute towards this account can be taken out prior to 59 ½ without tax or penalty – as long as you only take the principal and not the gains. The contribution limits are $6,000 per year, unless you are over 50 then you can contribute an additional $1,000. This account is a tax-deferred account – similar to a 401(k). When you file your taxes, this contribution will directly decrease your taxable income, giving you the same tax incentive as a 401(k). This money does not have a maximum income contribution limit. You can also contribute the same $6,000 as the Roth, and the additional $1,000 if you are over 50. 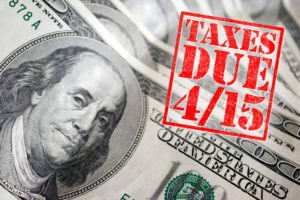 Both the Traditional IRA and the Roth IRA have a deadline of April 15th for contributing funds for the prior tax year. So even if you have not contributed for 2018, you can still do so up until Tax Day of 2019. This is intentional as many individuals depend on their return to help fund this account. 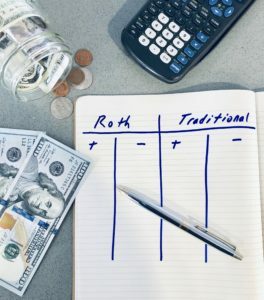 There is a lot of debate over whether you should invest your money into an Traditional or Roth IRA, I found this analysis to be comprehensive and useful. Carefully weight your options against your specific circumstances to see which makes the most sense for you. You can also choose to invest these funds in an individual investment account. If you don’t like the restrictions of the IRA account, you can still invest outside of those programs. If you want to save for a rental property or starting a business, an individual account is a good way to stay invested while not restricting yourself with withdrawal fees and restrictions. If you are going to need these monies sooner than later, and want to invest conservatively, you may want to consider a short-term CD (certificate of deposit). The main point to keep in mind is that you want to make sure your money is not sitting idle, so look for the best possible return based upon your risk tolerance and time horizon. Consider this an investment in peace of mind. As we discussed above, monies in savings should be maximized to get you the best possible return. Money in your savings account – aka emergency fund – should be kept safe from market volatility and risk. This is one account we are okay not maxing out our return beyond a risk-free return. Here are a few options for getting the best possible return from a standard checking/savings account. Here are a few good options that will give you a bonus for setting up a checking or savings account. Who doesn’t like free money, right? With the national average savings balance being close to $7,000, putting money into an emergency fund is a great way to invest your tax return. This money should be put into an account other than your normal spending account. This helps you stay disciplined in not spending those funds. The purpose for this savings account is to help with the unknows in life, such as: a recession, loss of employment, medical issues, unexpected house repairs, etc. Having the money in this account helps with peace of mind. It also helps prevent credit card spending – as that is the first place households turn to when they run out of money. Research has shown that the primary obstacles – second only to fear – that prevents individuals from seeking out new and better jobs is lack of money in savings. When you live pay-check to pay-check you have very little margin for error. You cannot afford to take even a small risk as it could bury you financially. This lack of savings not only limits your income growth, but may also keep you in a job you don’t like. For this reason, investing some of your return into your savings is a smart financial decision. If you have debt – other than a mortgage – it should be almost automatic to invest a portion of your tax return towards paying down your debt. Because this tax return money is bonus income – not out of your normal income – it is a great opportunity to make a significant impact on debt. For example: If you are paying an extra $250 towards debt per month, and your tax return is going to be $3,000, putting that full amount towards debt just helped you get out of debt a full year sooner. If you are currently spending more than you make, this money can help also be used to help you turn course. If you are spending heavily beyond your income, and are putting money on credit cards each month, this tax return is probably needed just to stay afloat. If that is the case, you are in need of an immediate spending review. This tax return money can be used to help bridge the gap of excess spending over the next 30 days while you get your spending under control. If you have high interest debt like a credit card or payday/title loan, using your tax return to pay these debts down will give you a significant and immediate return as those debts charge high amounts of interest. Getting them paid off will also improve your monthly cash flow – which will help you knock out other debts quickly. Consider very seriously using your tax return on your debts. The power of putting a large chunk on them will expedite your debt-pay-down-process. Look first towards high-interest risky debt, then focus on debts that are almost paid off that will offer the most substantial cash flow one eliminated. In our blog post 5 Steps to Help Prepare for the Next Recession, we talked about reviewing your employment to determine if it is a good long-term option. If your current job is not going to provide you with the necessary income and growth potential, taking part of your tax return to invest in yourself can have a big payoff long-term. This money could be used to go to a conference that will help you develop connections or give you training to help further your career. These can also be a good way to better understand what is happening in your industry. It also provides a great networking opportunity. The more often you can associate with other achievers, the better. This money could be used to further your education or develop trade skills. It doesn’t have to be done at a traditional college or university, there are many options online for this type of learning. Just to name a few online resources for learning: The Kahn Academy, Creative Live, and Udemy. If you are not familiar with these resources, they are called MOOC’s. MOOC stands for Massive Open Online Course. They either curate content from other freelance creators, or develop the content themselves. So, for example, if you want to learn more about graphic design, you can specifically pay for a course in that field. These courses can be a great supplement to your current skill base. Your employer may even pay for them. Doesn’t hurt to check. The great thing is these courses can be done whenever your schedule will permit, and are very specific to the areas you want to focus on. For some, investing in health and fitness could be their best option. This struggle is very real for many of us when it comes to health. When you don’t feel well physically, it is hard to perform at a high level. Often the first step in progressing with your goals starts with taking care of your body. No only does it help you feel better physically, it helps with depression and anxiety. I believe there is great power in investing in your physical well-being. If you can conquer the desires of your body, there are few challenges you can’t overcome. When it comes down to it, your ability to earn is your greatest strength for building wealth. This video talks about why investing in yourself is so powerful – drawn from a few powerful voices such as: Jim Rohn, Tony Robbins, and Les Brown. Another story that shows the power of investing in yourself comes from the motion picture: The Pursuit of Happyness. This movie is based upon the true story of Chris Gardner. While certain things were changed for the movie screen, it is a fairly accurate depiction of his story. The storyline is of a man who struggled with homeless while trying to raise his young child. The part that relates to what we are talking about, is during this struggle of homelessness, Chris knew he had to improve his skill if he wanted to make more money. He went and worked for an investment firm and passed a very difficult licensing test. The interesting thing is that he did all of this with little to no pay, while being homeless, and a young child to provide for. His willingness to develop himself is what helped him get his licensing, work for a prestigious financial firm, and later found a firm of his own. He is now a multi-millionaire two travels 200 days of the year as a motivational speaker. While this may seem like a dramatic or unrealistic example, it represents a struggle we all face when it comes to improving ourselves. We all have different areas that are holding us back, but one common theme I think we can all relate to is the money needed to do so. For this reason, investing part of your tax return into your own personal development will likely have more of an impact than anything else you can do. However, if that money is invested into retirement, savings, paying down debt, or into yourself; you will have something to show for it. Doing so has the power to change your financial future for the better. Every year you have this nice little bump to your savings, find a way to put that money to work for you. Join the mailing list to receive my latest blog posts.